We depend on maintaining a normal blood pressure level to ensure all of our organs and body tissues get adequate supply of nutrients and oxygen. Stress, certain health conditions, and even our environment play a big role on fluctuating blood pressure levels. Too much pressure against the walls of the arteries can be dangerous to our health. We will look at normal blood pressure levels for children, young to middle-aged adults, and the elderly. Know your expected pressure level and learn the natural ways to maintain a normal blood pressure level. For years we have been told that a normal blood pressure reading is 120/80; however, more and more doctors have now lowered these numbers to 115/75. Blood pressure is different for everyone as many factors can have an effect on the numbers. Our blood pressure refers to the amount of force behind the blood as it hits the arterial walls. As the heart pumps the blood, an ideal pressure sees the blood push against the walls that are flexible enough to expand and retract easily. Over time, our age, diet, and physical activity play a role on the elasticity of our blood vessels. With a loss of flexibility due to hardening of the walls, the heart needs to work harder to push the blood. These factors determine the blood pressure numbers. The systolic number is the top number, and it indicates the pressure as the heart beats or pushes the blood throughout the body. The diastolic number is the bottom number, and refers to the pressure in the arteries when the heart rests between beats. During this time, the heart receives oxygen as it fills with blood. Does Normal Blood Pressure Change with Age? Just as our blood pressure readings change according to our posture, sleep time, and stress levels throughout the day, our blood pressure changes as we age. Despite the fluctuating or changing measurements, we should maintain a normal range. As we age, we can expect changes in our cardiovascular health, including our blood pressure and cholesterol levels. There are several factors that reflect our blood pressure levels over the years, including normal blood pressure for seniors. We cannot stop the aging process, and this includes the aging of our heart. Maintaining a healthy lifestyle of clean eating and regular exercise can help, but cannot shield the heart from the effects of the fat deposits within the blood vessels that come with age. In addition, the walls and cells of the heart become thicker with age, which makes the heart work harder to fill with blood. Our arteries tend to narrow and weaken over time. This reduces the elasticity of the blood vessels that is needed when the blood hits against the walls. The blood vessels are unable to perform to normal capability as they harden. The narrowing can lead to clogged passageways, resulting in stroke or a heart attack. Our ability to process dietary meats—especially red meat—is reduced over time. This can be a factor in increased blood pressure, particularly with the added effects of digesting large amounts of salt. The daily intake as well as natural production of sodium begins to collect within our bloodstream. As the years pass, the body cannot retain fluid at the same capacity it once did. This reduces the amount of fluid in the bloodstream and will make the pressure greater within the blood vessels. The kidneys produce hormones that signal the body to retain more water and sodium than required if they do not get sufficient blood supply. This occurs when the blood flow between the heart and the kidneys is reduced due to narrow blood vessels. Due to our lifestyle and possible existing health conditions, we tend to partake in less physical activity or exercise as we get older. This has a damaging impact on our blood circulation and blood vessels. Men are recommended to have an average normal blood pressure of 120/80; however, as we have noted, there are varying factors to consider when determining what works for each person. What is normal for a man in his 30s is not deemed a normal reading for a man in his 60s. The following are the average blood pressures and the corresponding lows and highs for men from ages 15 to 64 years. In keeping with the normal blood pressure levels, most women fall along the same lines as men. It should be noted, however, that the female body experiences many physiological changes. Pregnancy and the menstruation cycle has a major impact on blood pressure. While the levels can fluctuate during a pregnancy, the levels tend to increase after menopause due to the reduction of estrogen and progesterone levels. As with men, a woman’s blood pressure can be influenced by their genes, diet, stress level, activity levels, and use of any prescribed medication. With all of the varying factors for different ages and health conditions, what is normal blood pressure range to maintain? We have supplied the chart below to make it easy to keep up with average normal blood pressures for all age groups. We are born with a low blood pressure that increases during childhood as we physically grow. Most doctors are not concerned with the pressure reading at this time, unless the child has a disease or disorder such as diabetes or kidney problems. There are three categories the normal blood pressure for kids can fall under. For children ranging from ages 3 to 5 years, the systolic blood pressure should range from 104 to 116, with a diastolic pressure reading between 63 and 74. For children ranging from ages 6 to 9 years, the systolic blood pressure should range from 108 to 121, with a diastolic pressure reading between 71 and 81. For children ranging from ages 10 to 12 years, the systolic blood pressure should range from 114 to 127, with a diastolic pressure reading between 77 and 83. With most adults, the normal blood pressure reading needs to be below the 120/80 measurement. This remains the golden rule for adolescents, adults, and older adults. By examining this number, it does not include those with issues of their blood vessels or have existing health conditions affecting the blood pressure. Monitoring the blood pressure reading is important during pregnancy to ensure that the mother and the fetus remain safe. Most females maintain a good pressure reading throughout their pregnancy, as it fluctuates due to the everchanging hormone production. For some women, there is a risk for high blood pressure and pre-eclampsia, a life-threatening condition for both mother and unborn baby. 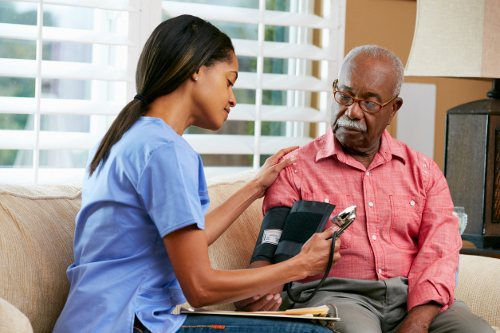 Whether you are male or female, your health condition, family history, age, and race all play a role in developing conditions that put you at risk for high blood pressure. It is important to maintain good health and take steps to hold normal blood pressure levels. Exercise regularly to stimulate the release of nitric acid, which opens the blood vessels and reduces the pressure of the blood flow. It also aids in getting rid of excess weight and reduce stress, two main factors of high blood pressure. It is important to maintain a healthy weight for your particular body frame in order to prevent health diseases and disorders, including high blood pressure. Having excess weight can also lead to diabetes and heart issues. By losing at least 10 pounds of weight, you can greatly reduce a high reading of blood pressure. Consume fresh vegetables and fruit, lean meat, whole grains, fish, and nuts to keep a normal blood pressure reading. Avoid bad fats, sugary foods, processed food, and red meat. Too much sodium can increase the blood pressure. We ingest high levels of sodium in the food we eat every day. We should only have 1500 milligrams per day. The nicotine in cigarettes makes the blood vessels narrow, increasing the pressure of the blood flow. Avoid all use of tobacco products. Alcohol can also increase blood pressure and should be avoided. If you drink, limit to one drink daily for women and two drinks for men. Normal blood pressure is not always easy to maintain as our genetic makeup and everyday stressors can make it fluctuate. Many people can have elevated levels without even knowing. The average blood pressure measurement can vary depending on existing health conditions and age. Knowing your specific pressure measurement— and monitoring it with doctor visits and at home—can help prevent serious consequences. Keep fit, eat well, exercise regularly, and avoid triggers to maintain a healthy normal blood pressure reading and life. “What Is Normal Blood Pressure?” Blood Pressure United Kingdom; http://www.bloodpressureuk.org/BloodPressureandyou/Thebasics/Whatisnormal, last accessed June 22, 2017. “Normal Blood Pressure,” Dr. Ed ; https://www.dred.com/uk/what-is-normal-blood-pressure.html, last accessed June 22, 2017. “Why Does Blood Pressure Rise With Age?” Resperate, March 30, 2014; http://www.resperate.com/blood-pressure-rise-age, last accessed June 22, 2017. Davis, V., “Normal Blood Pressure for Men Over 30, 40, 50, 60 Years,” Better Health Facts http://www.betterhealthfacts.com/2014/02/normal-blood-pressure-for-men.html, last accessed June 22, 2017. “Normal Blood Pressure During Pregnancy,” New Kids Center; http://www.newkidscenter.com/Normal-Blood-Pressure-During-Pregnancy.html, last accessed June 22, 2017.